You already know that organic (non-paid) Facebook reach has plummeted in recent years. You’re probably starting to notice that slowly but surely, your Instagram posts are getting less traction than they used to, too. That’s where Facebook ads can help. 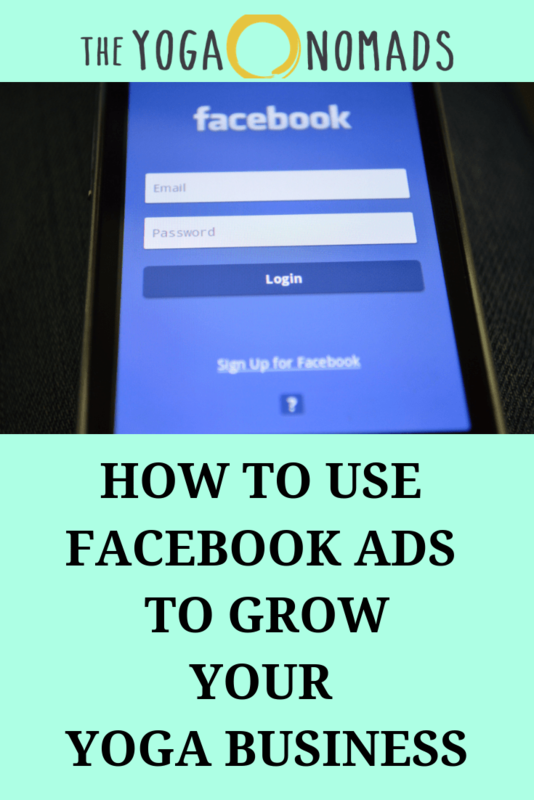 Facebook ads distribute to Instagram (both newsfeed and stories) as well, and they can help you get more eyes on your content pretty cheaply. 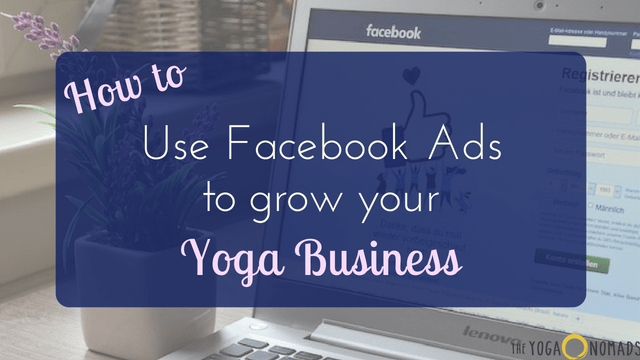 This post will walk you through how to get started with Facebook ads, including the most important part– developing a strategy to help you use them to grow your yoga business. Using Facebook ads without a strategy is a surefire way to waste your money. So before you do anything else, sit down and map it out. Ask yourself: what do I want to achieve through Facebook ads? Whatever your goals (and you don’t have to choose just one!) 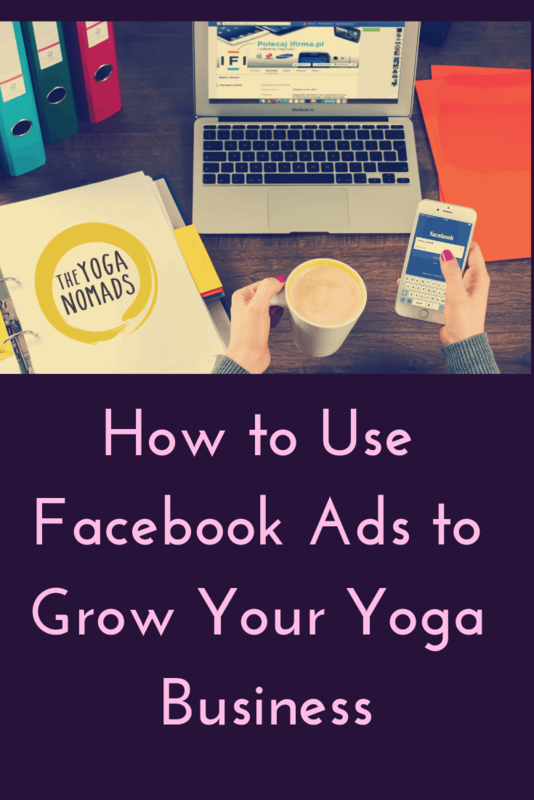 you’ll want to develop your Facebook ads strategy with those goals in mind. 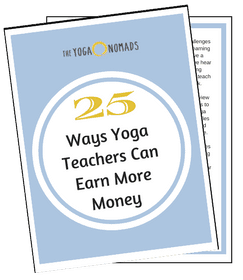 To start, this simple 2-tier strategy is a great option. This strategy can (and should) be tailored to meet your specific goals. The first ad will run to a cold audience (meaning, an audience that doesn’t know you), sharing something of value: typically a blog post. The second ad will run to the same audience who clicked on the first ad (which is now a warm audience) with a lead magnet, or freebie, to encourage them to join your email list. If you don’t have a lead magnet yet, click here to get some tips for creating one. If you’re completely new to Facebook ads, there are some great resources that break down the basics like this guide from Buffer. But how do you reach these specific audiences I’ve talked about? By creating custom audiences. This is a little more advanced, but I’ve found it to be really effective. To create custom audiences, you need to first install the Facebook pixel on your website. This allows you to track and retarget visitors to your content. This video breaks down exactly how to install the pixel (it’s pretty simple!). You would take option 1 if you’d like to use a lookalike targeting audience, meaning you target people who are like the people who already visit your site. This is a really powerful tool, so if you have the time to wait I recommend waiting a few days and using this option! The pixel needs at least 100 hits (visits to your website) in order to create a lookalike audience. 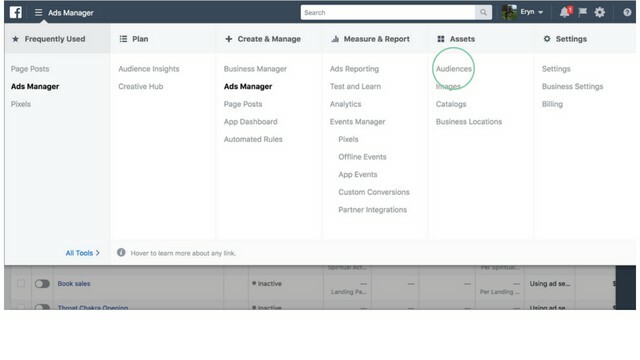 If you choose option 2, that means you’ll use the interest targeting within Facebook to target people who are interested in what your ideal client is interested in. 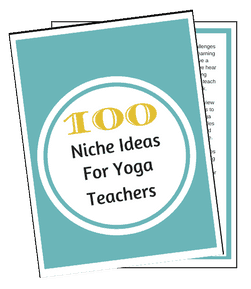 For example, you could target Yoga Journal, Yoga Alliance, raw veganism, or Athleta. 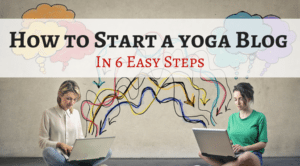 The key is to make your interests specific and relevant– but they don’t have to be related to yoga. 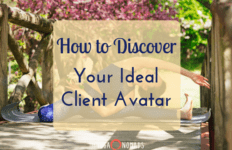 If your ideal client is a yogi who loves celebrities, you could target people who are interested in Yoga Journal and People Magazine. The options are endless! For the purposes of this article, I’m going to cover the 3 most popular options: customer file, website traffic, and engagement. Customer file. This option allows you to create an audience of your email subscribers. For step 1 of our strategy, targeting a cold audience, you’ll upload a list of your email subscribers and then create a lookalike audience based on those subscribers. 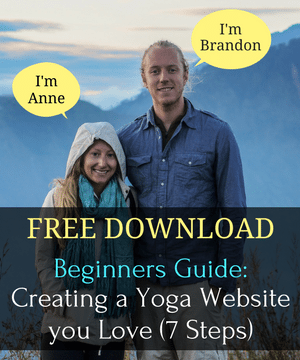 This allows you to send people to your site who are like those who already subscribe to your site– making it likely that these people will enjoy your content! Website traffic. With this option, you can create a custom audience based on the people who have visited your site. This is the option we’ll use for step 2 of our strategy, when we’re inviting people to join your email list. These people have already interacted with your content by visiting your site, so it’s an easier sell to get them to join your email list! Engagement. This is another option you could use for step 2 of our strategy, although I would recommend combining it with website traffic rather than using it on its own. This option allows you to target people who have engaged with your Facebook page, engaged with your Instagram page, and/or watched a certain amount of specific videos you’ve posted. I find that the video option is especially helpful, and like to target people who have watched at least 50% of my relevant videos. You’ll notice that in the strategy I shared above, there aren’t actually any ads targeting people about your specific workshop. That’s because one of the most important rules in marketing is know, like, trust. Just like with any type of marketing, the goal of your Facebook ads strategy is to get people to know, like, and trust you. That’s why getting people on your email list is so important. 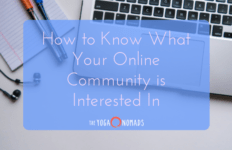 Once people join your email list, they already know and like you. The hardest part is the trust part, and that’s where email comes in. 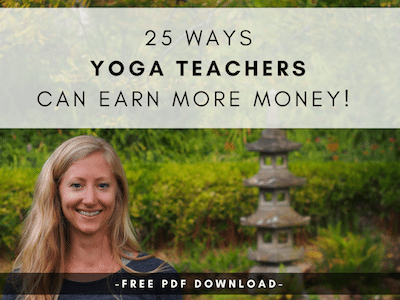 You can run an ad for your workshop to a fairly new audience, and you might get a few bites. But my recommendation is to use your email list to nurture your potential attendees. 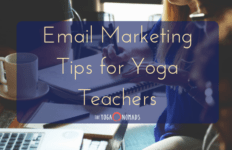 Later, you might like to target your email subscribers with an ad for your workshop– but not right away. Before you drive paid traffic to your website, you want to make sure it’s actually working for your business. 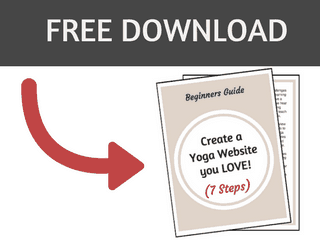 If you know your website could use some work, you can download our beginner’s guide to creating a yoga website you love here. Tell them your story in a personal, vulnerable way. How has that brought you to where you are now? Done right, Facebook ads can be a powerful tool to help new potential students or clients find you, follow you, and eventually buy from you. What other questions do you have about Facebook ads? Drop them below!